NOUVEAU CLIP "SWEET DREAMS" EN FEATURING AVEC ZAYIN, LEMCI & POPPY !!! 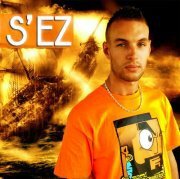 Ma Page Officielle, Follow Me !! !